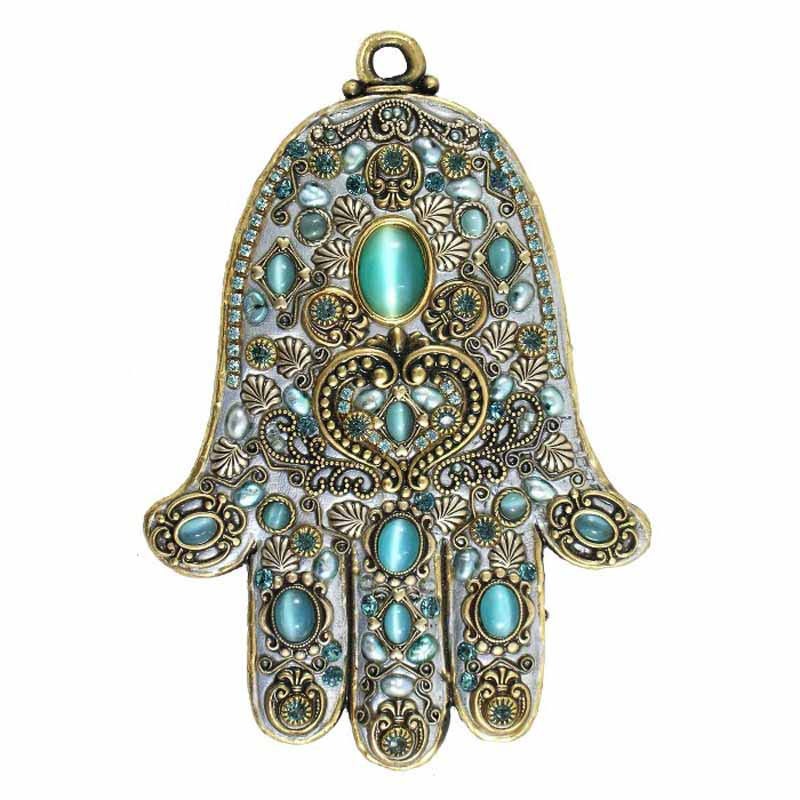 Cat’s Eye stones, freshwater pearls and crystals give this lovely light blue Hamsa a variety of textures and colors for an ornate design. One of our most popular styles, this hamsa makes a great wedding our housewarming gift. The Hamsa is a symbol of good luck meant to ward of negative energy, this versatile symbol can be displayed and worn by all.